All units are hand painted and feature a solid wood frame with 5 peice doors and tongue and groove feature side panels. 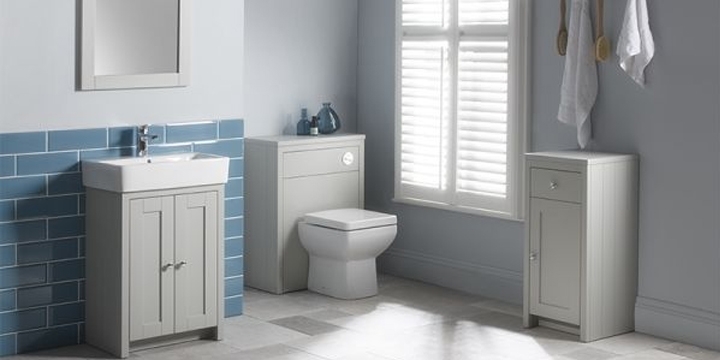 The flat fronted ceramic basins complement the classic styling of the Lansdown range. There is also a semi counter top basin option. Back to wall and storage units, a choice of mirrors and bath panels complete this beautifully understated range. Complete with soft close doors and drawers to give a quiet and controlled closure. Available in Linen White, Pebble Grey and Matt Dark Grey.